The event marked the most significant move yet by Amazon to become an industry leader in smart-home technology. 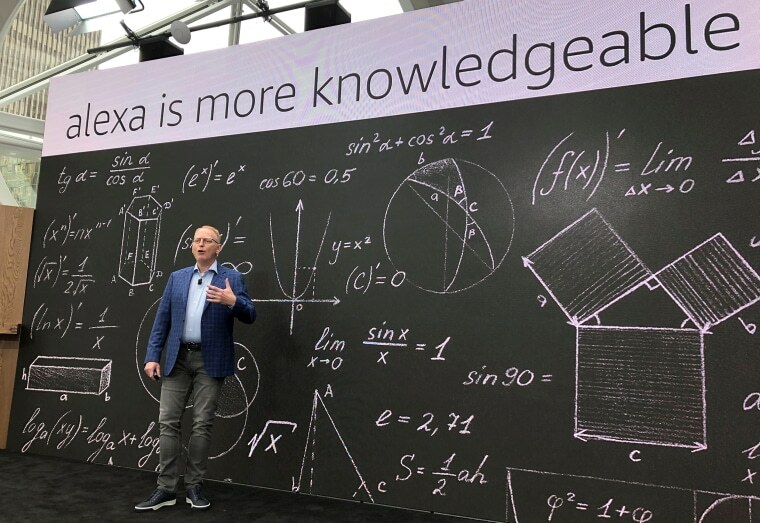 Amazon on Thursday launched a range of new products and features aimed at integrating its Alexa voice-enabled assistant into people's everyday lives, including a microwave, wall clock and car device. Amazon also announced a series of new home security features that will be added to some existing Alexa-enabled products. Of those new features, Alexa Guard allows users to say “Alexa, I’m leaving” to activate a system that will alert users if their connected devices detect events like glass breaking or the presence of smoke. The features will be available on some Echo devices later in the year and integrate into alarm systems from ADT and Amazon’s own security system, the company said. “Oh god I’m going buy a smart microwave,” tweeted Nilay Patel, editor-in-chief of digital technology publication The Verge.